Play Australia is operated by a volunteer Board and managed on a daily basis by the Executive Director, Barbara Champion. The Board consists of interested community members who are elected at the annual general meeting to manage the legal and financial responsibilities of the organisation. The Board and Executive Director work together to develop the policies and aims of the organisation, involving an ongoing strategic and business plan to guide the resource allocation in order to achieve the goals of the organisation. Play is inherent in every person at every stage of their life. Play is free, fun and provides an important way for people to connect to one another and the environment around them. Sharon has an extensive background of more than 30 years in local government in areas of community planning, recreation, open space and community engagement. For many years Sharon has focused on achieving safe, well-designed and well-utilised public spaces. This includes an appreciation of the importance of play, and Sharon has prepared play strategies and policies, and undertaken research into all aspects of play. 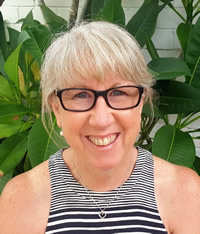 Sharon brings to the Board of Play Australia not only experience in the planning and provision of play for Australian communities but also expertise in the areas of governance and management for the benefit of the national organisation. Play is the perfect way for families to connect with their community. Play is an international language, it shapes our personality and how we fit in with others. The best opportunities for play are often in the most unintended places, encouraging interaction, imagination and learning in the most natural way. Alli is a Landscape Architect, working with the Open Space Design & Development Unit at Moreland City Council, since 2004. Alli has frequent contact with Council’s in house construction and maintenance teams, and through collaboration they provide high quality, low maintenance outcomes for the community. Alli has a keen interest in reusing or ‘up-cycling’ existing park infrastructure to give it a new life, promoting sustainability in public open space. Alli has two young children and is thrilled to watch them develop and learn through play. The more we play, the happier, healthier and brighter our lives are. I get great satisfaction from designing and building play spaces that encourage us to play regardless of our age. Mark's first career was wool classing in country NSW. 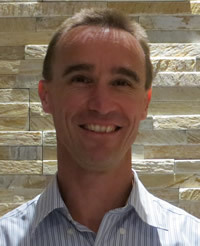 Over the years Mark has worked in sales & management roles that in 2003 led him to move to Melbourne. In 2007 Mark joined Kompan in a Victorian sales role and in 2009 he founded Ikonic Playgrounds becoming the exclusive agent for Kompan & Corocord play equipment in Victoria. In 2016 Kompan opened a direct sales office in Melbourne and Mark now leads the Victorian Kompan team. Mark is a keen runner and with his wife and 2 daughters enjoys an active outdoor lifestyle. His interests include indoor cricket, golf and family escapes to the country. For a number of years Mark has been involved in School Council and the local Little Athletics Centre holding various positions including Secretary and Vice President of these organisations. Play is how children learn about themselves and their world. So I believe we all have a responsibility to support children and young people of all ages, abilities, interests and dispositions to follow their own innate drive to play. Kerry’s interest in outdoor play began in 2002 when she joined the PlaySafe Advisory Association team, re-ignited in 2009 when she joined Kidsafe WA’s Playground Advisory Service; becoming an all-consuming passion in 2011 following her attendance at the IPA conference in Cardiff and joining Nature Play Solutions shortly after that. Growing up in the 1960s and 70s I spent endless hours playing outdoors – helping in the vegie garden, riding my bike around the neighbourhood, collecting tadpoles, raising frogs, climbing trees, harvesting mulberries, hours and hours of unsupervised play. Holidays were nearly always to visit cousins in the WA Wheatbelt and full of kid-only adventures – picnics on the top of the hill in the back paddock, playing in the creek, gathering mushrooms and scary visits to the haunted old farm house near the shearing shed. The more I have researched, the more I believed that outdoor play provision of recent decades actually inhibits quality play opportunities and therefore does little to support children’s learning, development, health & wellbeing. I agree with a colleague who proposed that our attitudes to and understanding of ‘play’ and how we provide for it are a litmus test of our attitude to children and young people and the rights afforded them within a civil society. I have a strong belief that public open spaces are also a site of intersection for a wide variety of issues – child and community development, community safety and wellbeing, conservation and environment, connection to place and country, habitat protection, intergenerational social connectedness, universal access and inclusion, as well as PLAY – such that design and development of these spaces require a multi-disciplinary approach to challenge our perceptions of childhood, outdoor play and playspace design and inspire a change in thinking about the Nature of Play. Play is nature’s most powerful learning process and the lessons it provides are among life’s most valuable. Don established The Play Works in 1984 and as MD has been at the forefront of evolving playground and play equipment design throughout. Play Works won the 2006 National Playspace award for their breakthrough All-abilities playground at Pioneer Park and the 2015 award for the Frew Park playground that redefined the place of risk in play. 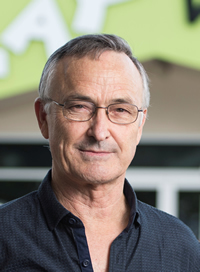 He served on the Australian Playground Standards for committee for 10 years and has been a long-time friend of Play Australia. In a time when we are so focused on the haves and have nots, play is a social leveller. Play is important because it makes everyone's lives better. Every minute of play brings an irreplaceable minute of joy. Play is important because it is fun. Bec is a big kid at heart who believes that everyone should be able to experience the joy of play. As the Executive Officer of national charity Touched by Olivia, Bec passionately advocates for inclusion by working with councils, developers, children and communities to create inclusion through play. Play is laughing, exploring, thinking, falling and getting back up again. In a world of rules, play gives children and adults the freedom to be themselves. 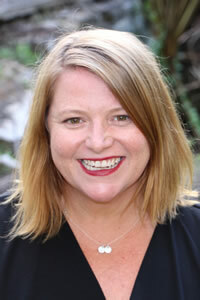 Kylie Warren-Wright is the National Safe Work and Wellbeing Manager for Goodstart Early Learning, Australia’s largest provider of early learning and care, with 645 centres across Australia caring for close to 70,000 children and employing over 13,000 staff. She leads the Safe Work and Wellbeing Unit, a team comprised of 18 safety professionals. A key focus of her work is to build a culture in which Goodstart staff create engaging and stimulating environments for children to safely experience and manage day to day risks as part of their play and learning. 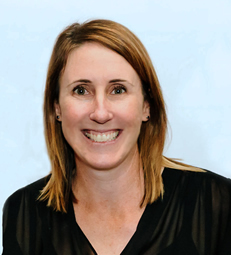 Kylie works closely with state regulatory safety bodies to ensure the application of the relevant OHS and WHS Acts are not restrictive when it comes to play in the early learning sector. Play is losing myself in moments, no matter how long or short they are or who I am with, and not being distracted by everything else that is going on in the busyness of life. Topped off by sharing the fun and silliness with family, friends and strangers alike! Carly is the City of Casey’s Team Leader, Recreation Planning and is passionate about creating and transforming spaces for people of all ages and abilities to enjoy. Carly has a strategic and collaborative focus, and considers the broader outcomes for Council and the community in delivering open space. From nine years of local government experience, and coming from the sport, health and wellbeing sectors, one of her proudest achievements as a planner is the multi-award winning Valley Reserve Playspace in Mount Waverley, definitely worth a visit! With the move to the rapidly growing City of Casey, there is an exciting opportunity to influence, innovate and simplify the ways in which we plan, design and build for play. Carly leads an active lifestyle with her family, spending much of their time outdoors exploring (and testing) parks, beaches, nature and sporting reserves! To me, play is a language. It is a language engaged in by all living animals… a way to learn, a way to create theories, explore ideas, something that permits risk taking and investigating. Importantly, play provides freedom and fun, regardless of age. 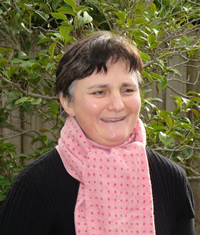 Bron is a committee member of and the Resource and Professional Development co-ordinator for Environmental Education in Early Childhood ‘EEEC’. 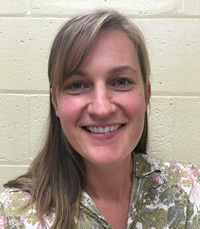 Bron is also the Early Years Facilitator for Play Australia critically reflecting with professionals on the value of outdoor play for children and connecting with nature. 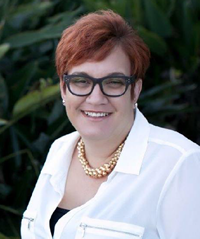 Bron’s roles have included director of education and care settings, training manager of a registered training organisation while also writing and facilitating accredited and non-accredited training from Certificate III to Advanced Diploma of Children’s Services. Bron is passionate about play, especially outdoor play for all children birth to five years. Bron works within childhoods everyday and feels privileged to do so. For the majority of their childhood Bron and her sister explored outdoors in the natural world where they had opportunities with my friends and family to engage in the language of play… rain, hail and shine. Eventually, she realised this was not a way of living for all and for some children, it was unexplored. Something had to change. 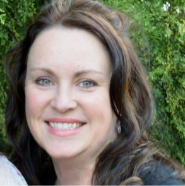 In addition to the above roles, she is also a consultant and director of learning happens and director and teacher at Diamond Creek Memorial Kindergarten. Bron feels honoured to be on the board of Play Australia with such experienced and passionate play advocates. Play is important for everyone, we need it in order to be creative, innovative, engaged and most of all, happy. Dr Barbara Chancellor is an independent play researcher and consultant. She has an extensive body of scholarly research in the fields of children’s play, outdoor playspace design and management in school playgrounds, early childhood settings and public open spaces. Her research focuses on the impacts that adults have on children’s play opportunities through design of playspaces and supervision of playing children. Barbara has several ongoing research collaborations with scholars in Australia and many other parts of the world. She publishes in peer reviewed academic journals and regularly presents her research in international forums. With more than 35 years teaching experience in early childhood, primary and higher education sectors, Barbara makes the links between research and practice her goal in providing support for industry groups through her consultancy work. Barbara has a strong commitment to preservice teacher education in her previous role as Director of early childhood programs at RMIT University in Melbourne and has been involved in research into the beginnings of the Bush Kinder approach in Australia and continues research collaborations in this emerging area. Barbara is a long serving board member of Play Australia, The International Play Association and the International Council of Childrens Play. Through these organisations she has well established links with professionals around the world from diverse fields who work in playspace provision, including landscape architects, urban planners, play equipment manufacturers and urban artists. For many years she has engaged with these professions through public speaking, research and consultancies. Play is so simple yet amazingly complex. An expression of freedom, curiosity and imagination. A chance to be someone else, travel to other worlds or understand our own. To topple over and dust ourselves off and with determination, try again. To make friends and share memories. To be in the moment and live life! Elizabeth Cummins is a qualified landscape architect and educator. She has spent many years working in private design practice, local government and education. In 2011 Elizabeth branched out to take her own creative project direction, called Bricolage Design specialising in design and strategic planning, particularly for children’s environments in regional Victoria. Play provides me with a sense of belonging, of community, and of people with a shared view of the world. 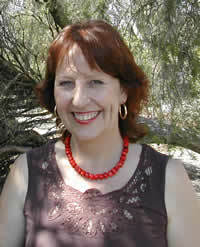 Barbara is the Executive Director of Play Australia. She began work at PRAV in 1998 following a history of employment in the Education, Local Government and Community sectors in Victoria. Her experience includes a variety of leadership positions and involvement in a number of community based education, arts and health organizations. 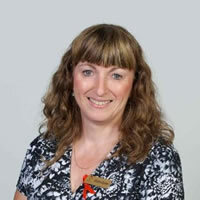 Barbara chaired the Australian Standards Committee on Playgrounds Safety for 6 years, and supports the development and work of Play Australia across all areas of play.